Checking the Allow Text Wrapping box in the ASC while creating Label Controls for Task Lists allows the entire Label to display. 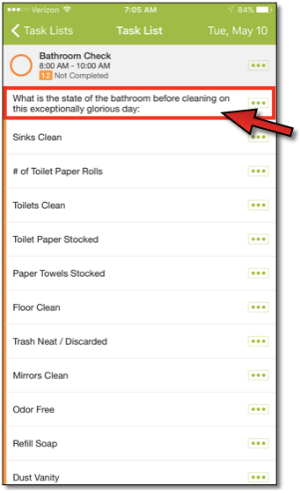 The wrapped text will now make its way to the mobile apps, so the users won’t miss important instructions in the Label. 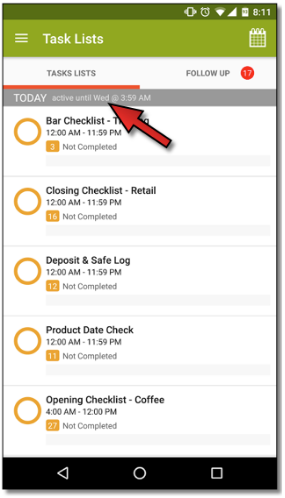 Daily Task Lists will now display how long they are available for Android users to complete. If a Task List is no longer available, it will be labeled with an Inactive heading. Please note that this feature will be coming to iOS and Web in a future Release.